Social Media Marketing – What you should Do! It is no longer a question of IF companies should execute a social media strategy. The question for most companies is HOW to best execute a meaningful and engaging approach that generates results. With so many social media marketing options available, marketers must also decide best practices and what tactics to avoid. We all make mistakes as marketers and it’s important that we not only learn from those mistakes but share with others so that they can avoid them. Which tactics are you happy to say you’ve implemented and which mistakes will you admit to? #1: Save Time, Re-purpose Content. While this is a great tactic it is important to be thoughtful about the way that you are re-using content. Simply spitting out the same information over and over again will not work. Be sure to change elements of your posts in order to either highlight different information within the post or target a different segment within your audience. #2: Interaction is Where It’s At! True interaction via social media can be a tough tactic for many marketers to master. Finding the correct balance of self promotion and intriguing content that inspires action can be very instrumental in using social media appropriately. Take some time to comment or interact with your current clients and prospective clients to show that you’re there, and you care about what they are saying. A simple tactic is to ask questions that inspire a response. #3: Try Multiple Media Types. Social media users are interested in fresh new ways of presenting content and ways that they can share it with their networks. In fact certain forms of media such as infographics or videos have a tendency to be much more sharable and appealing. 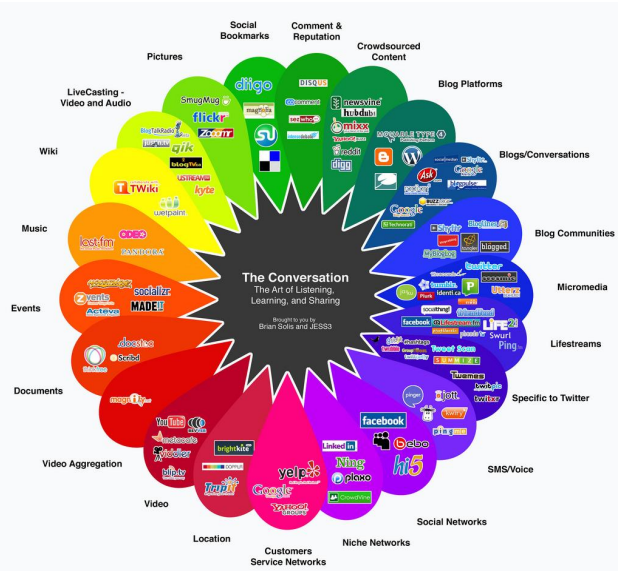 Try to incorporate some new media types into your social media content plan for the year. #4: For Pete’s Sake! Make it Searchable. I’m going to go out on a limb and assume that you have some sort of optimization in place for your website. Keep the same strategy in mind for your social media content. If it can be searched it can be optimized. The last thing you need is your social media intern “Sarah” having a meltdown at the first sign of something unfavorable being said about your brand on social media. By keeping a level head and having an emergency preparedness plan ready should disaster strike you will be able to calmly and rationally tackle the issue. P.S. Ignoring it doesn’t count as a plan. If you’re like us you have multiple audience members to provide information to online. This could be different verticals or even different departments within a single organization. Do your homework, what sites do your different audience members participate in and what topics are of importance to them? In the past some companies have encouraged all team members to participate in the promotion of their brands because they worked under the notion that more was better. False. While you don’t want to discourage interaction or squash the dreams of your team it is important that the voice of your social media strategy represents who you are and what you believe in as a company. Trish from accounting that posts on her social network about the copious amounts of alcohol consumed Tuesday night and the terrible time she’s having at work the next day may not be the best resource for networking your company. #8: What Was the Purpose of This Again? Remember why you’re using social media in the first place. By setting a set of realistic and attainable goals you will be able to test what works and what doesn’t and adapt your online marketing strategy from there. If you create a beautiful piece of furniture but can’t fit it through the front door what was the point? The same applies to your online strategy. I don’t want to discourage planning big but make sure that you have an effective means of measuring your success in order to identify the true ROI of your online marketing strategy. You don’t have to be cutting edge to run a successful social media program. However, it doesn’t hurt to have your eyes and ears open to the latest trends. Experiment with your strategy to find new and interesting ways to present the same information to your networks. #1: Hello? Is Anyone Listening? One of the worst things that you can do is ignore your audience. I shared an example last week of ChapStick’s reaction to unfavorable responses from their network. Deleting information or simply refusing to answer are a big marketing fail. #2:Have You Ever Tried to Have a Conversation With a Robot? If you are like me, at one time or another you’ve found yourself screaming at the automated help desk for your credit card company beyond frustrated that you couldn’t speak with a live representative. Try to spare your online audience of the same exasperation and create thoughtful and conversational content. Leave the robots for the other guys. #3: I Know You Are But What Am I? As we’ve said before it is difficult if not impossible to take things back once you’ve said them online. There is nothing wrong with disagreeing with audience members, colleagues, or competitors but there is no need to be impolite. If you take a do unto others approach you will save yourself and your company a lot of damage control. #4: Accounts Covered in an Inch of Dust. You did some research and found 10 new social networking platforms that your company is not signed up for. 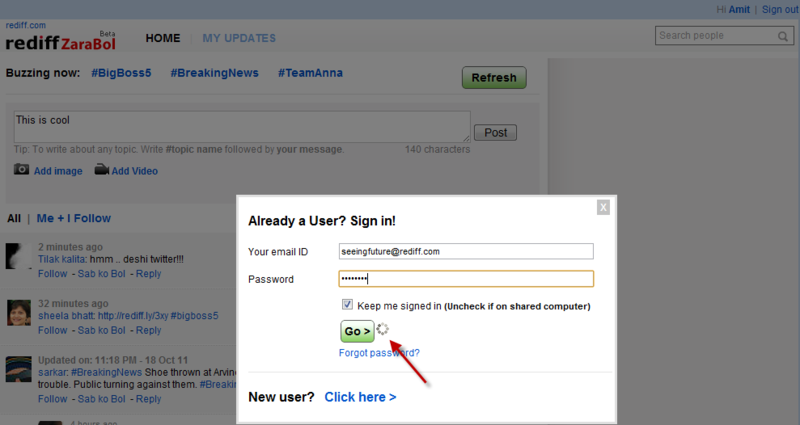 You assign a task to your marketing team to sign up for these accounts, and unfortunately that is as far as it goes. If you cannot commit to utilizing a platform on a regular basis and setting it up in a way that clearly represents your brand then what is the point. Don’t do it just to do it. #5: One Size Does Not Fit All. All social media sites are not created equal. As marketers we must consider not only the type of interaction that typically happens on a given platform but also the audience we are trying to reach with that platform. If your social strategy for Twitter, Facebook, and LinkedIn are all exactly the same you may want to reconsider your plan. In order to make friends online you need to be friendly. Part of being friendly means adding a personal note to your social media profiles. Snap some impromptu photos around the office and share a little bit about some of the key team members. This is an instance where a little bit of extra effort can go a long way. #7: Taking Your Relationship To the Next Step. Romancing your prospects does not end at gaining them as followers. Sure they’ve signed up to receive updates on your company but is that really enough?If your ultimate goal is to gain them as new clients then it is important to have a personalized and meaningful flow of communication that sets next steps in the relationship. An example would be recommending that you have a phone conversation or possibly meet in person to discuss some business opportunities. #8: We Really Care About You. Just Kidding. Spending countless time and effort to engage with prospects only to abandon them is a completely useless tactic. Handle these relationships with the same care that you would your other business relationships. #9: We Have No Idea What is Important To You. Our company is great, we have so much to offer you, hire us now! I consider each of these to be obnoxious and pitiful tactics for engaging followers. Instead of utilizing your platform as a means for marketing your products and services try instead to offer information that can help solve the business problem of your prospects. #10: What Are All of These Followers For Anyways? Now that you’ve built up this community of online followers what can you use it for? Your online community is a great resource for crowdsourcing content and brainstorming ideas. If you want to gather a set of your own statistics why not go to your online community and ask them to participate in a study or survey and share the results with everyone. I know that a lot of these tips may seem like no brainers to you some of you, but in the fast changing world of social media, mistakes can have a significant impact. I’m curious to know if you have any other “no brainer” social media tactics that you’d like to share? They can be funny, insightful, pretty much anything you want as long as they’re true. I look forward to laughing, cringing, and sighing with you. If you have a moment to fill out the survey below I’d love to get some feedback from you regarding this post and your personal experience with social media marketing. 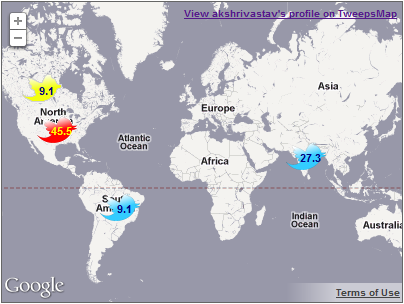 Quick Pitch: TweepsMap provides a visual, interactive map of your Twitter followers by country, state or city. Genius Idea: Measures the effectiveness of Twitter campaigns by analyzing the locations of your followers. Knowing where your Twitter followers are located can not only feed your curiosity, but it can also help you measure the success of your social campaigns. Here comes, TweepsMap which links to your Twitter account, analyzes your followers and provides a map or chart that shows where they’re located by country, state or city. The genius app was Launched in October, the tool helps Twitter users learn if their campaign is successful in a targeted region. For example, if your Twitter campaign is targeted toward Delhi, India residents, TweepsMap helps you see how many of your followers are actually located in Delhi, India. After authorizing the TweepsMap API, it generates a color-coded map with Twitter birds spread across it to show the number of followers in that specific location — red birds represent the largest number of followers, and yellow represents the second largest number. 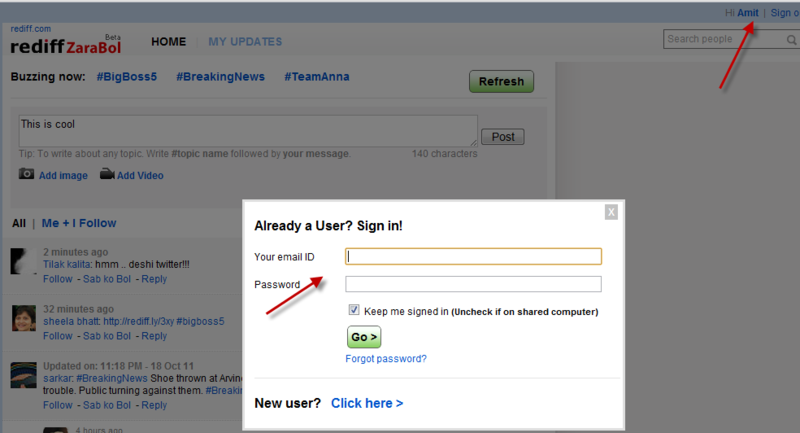 Here is the Slide show which explains the step by step way of activating TweepsMap. Google’s New Algorithm Update Improves Google’s Chance at Ruling the World 35% more Likely? Fresher results can make for more relevant results, which is why Google moved over to the caffeine infrastructure last year. Recent events or hot topics. For recent events or hot topics that begin trending on the web, you want to find the latest information immediately. Now when you search for current events like [AdTech Conference NY], or for the latest news about the [Cricket WC 2011], you’ll see more high-quality pages that might only be minutes old. Frequent updates. There are also searches for information that changes often, but isn’t really a hot topic or a recurring event. For example, if you’re researching the [best slr cameras], or you’re in the market for a new car and want [i40 Reviews], you probably want the most up to date information. The situation with Twitter is still not clear. The largest amount of “fresh” information on the web are tweets. Despite the growth of Google+, the volume of tweets happening far eclipses the content there. Let’s wait and see how these changes impact the overall SEO market? This is the most important aspect. There are a million ways to get “followers,” literally you can get thousands with little effort, but it won’t help if they are not staying on your page long enough to read something and/or clicking to your site if you are selling something. Google and other search engines know if followers are made up or just clicking your page and immediately closing. Build good content and they will come… and stay. Optimizing your content, as you are likely aware by now, is essential. That doesn’t mean spamming keywords however. The trick is to discover the key phrase most relevant to those you want to read a particular post. Use the word or key phrase in the title if possible or within the first sentence of the post, and again toward the end, the last sentence if possible. Search engines have what are called “web crawlers” which if you site is public will eventually find it. With so many sites though, this can take quite a bit of time. Submitting your site or blog speeds up the process. Directories don’t have crawlers, so if you want a site like Yelp or others to know about you, you need to submit it. Mostly bloggers read blogs, and they read them (or skim them then add a comment) with the sole purpose of drawing attention to their own blog. It’s not the most precise way to market to your target but has become a necessary evil. Comment when you can on other’s blogs, good blogs that have readers you may want, and even better, guest post when you can. No matter how good your blog is, it will never have as far a reach as Facebook, Twitter or Google +. Adding these buttons allows users of these social mediums to get updated on their social network accounts—which they will check far more often. This is different than adding comments. Once you’ve connected with bloggers, see if you can guest post on a blog that is relevant to your own. Make sure it’s relevant. There are almost as many forums as there are blogs. Find one that is relevant to your subject matter and post regularly. So to generate Traffic to your blog, have a great content, which is interesting to read and has got various people coming over and reading. On Monday, James Eliason, CEO of Twittad, said in an interview that Twitter would drop a lawsuit it filed against his company last month that sought to nix Twittad’s registered trademark of the word “tweet.” In return, Des Moines-based Twittad would transfer its registered trademark of “tweet” to Twitter, he said. Twitter : You can “tweet” by posting a message of up to 140 characters on Twitter. It would be plain wrong to call ‘Twitter’ just a plain online messaging service, as per Wikipedia: Twitter is an online social networking and microblogging service that enables its users to send and read text-based posts of up to 140 characters, informally known as “tweets”. As part of confidentiality agreement between the companies CEOs of both companies declined to comment on whether Twitter paid Twittad or not? “We’ve arrived at a resolution with Twittad that recognizes consistent use of Tweet while supporting the continued success of Twitter ecosystem partners like Twittad,” Twitter spokeswoman Lynn Fox said in a statement. The U.S. Patent and Trademark Office has twice suspended Twitter’s own attempts beginning in April 2009 to trademark the term.